The agricultural sector of Israel is one of the most productive and advanced in the world in almost all of the indicators. The country has achieved this result with the help of modern innovative technologies and smart solutions in agriculture, which are being implemented into agro-industry almost every year. It is very important to study and adopt an international experience and try to implement smart farming systems everywhere to solve problems in Russian agricultural sector of the economy. In this sense, ready-made smart solutions and development based on artificial intelligence, used in Israel could largely help domestic farming. In general, the export of Israeli agricultural products to Russia has grown tenfold over the past ten years. It’s easy to see visiting any supermarket in any large city of Russia. You can find Israeli carrots, peppers, potatoes, tomatoes, citrus on the shelves. According to some reports, it’s Israel that delivers up to 10% of all vegetables supplied to Russia. And some products of this country are the undisputed leaders. Less than 20% of Israeli land is suitable for agriculture today, but at the same time, farmers meet the needs of the population in food products by 95%. This is a kind of agrarian phenomenon, which is worth the attention of farmers from other countries. The Government of Israel strongly supports the country&#39;s agricultural sector, subsidizing farmers up to 40% of the purchase price and the implementation of new technologies. The main components of "smart"
farming approach is software, irrigation systems, innovative harvesting equipment cost cheaper due to the subsidy system. Due to this approach and close state, private and scientific sectors cooperation in agro-industrial complex, Israel manages to maintain high implementation rates of new technologies in the agro-sphere. The phenomenon of Israeli agriculture is that low natural potential is compensated by the high intensity and efficiency of implementing new technologies. Traditional approaches in farming are not actually used in this country. High level of innovation helps to achieve maximum productivity of the industry with minimal resource costs. Amid the global shortage of food and water, Israeli companies are more than just interested in developing innovative projects for agriculture. OneCamels, one of the leading Israeli agrarian internet resources, has compiled a list of the most interested smart solutions in the field of the agro-industrial complex from a practical point of view. Sensilize aims to make the use of land resources as efficient as possible. 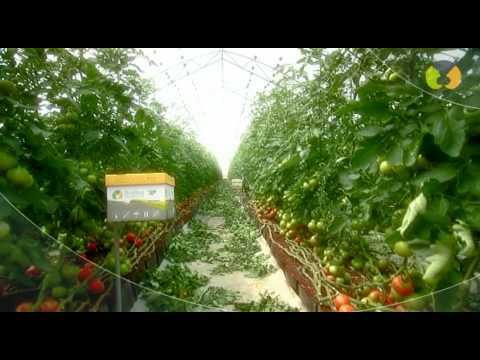 Israelis have invented unique sensors capable of collecting information about the land and with the help of the data obtained, farmers can adapt crops to soil conditions, hence reducing costs and increasing yield. BioBee company raises various breeds of spiders, bees and flies that eat harmful insects. Technology reduces or eliminates the use of pesticides, helping farmers to export their products to developed countries as international rules restrict trade in grain processed with chemicals. MiRobot company has developed a milking robotic system to make cow milking more efficient. This system cleans, does milking and performs necessary procedures after cow milking. Seeing that miRobot works without human input, so this reduces the cost of wages and increases the volume of milk production. 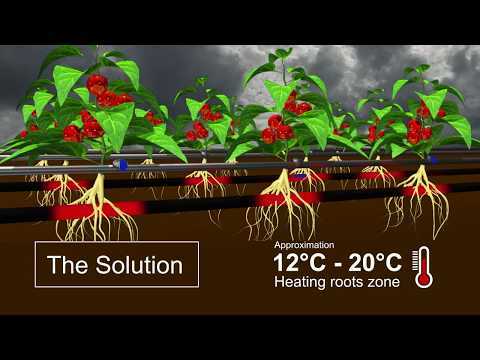 The invention of this company allows you to place robotic water pipes into the soil, which determine comfort temperature for a particular piece of land: if the soil is too warm, ROOTS can cool it, and vice versa. 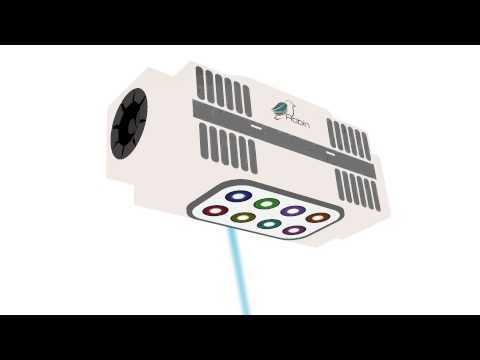 This technology helps to increase the yield of some crops (basil, strawberry and salad). 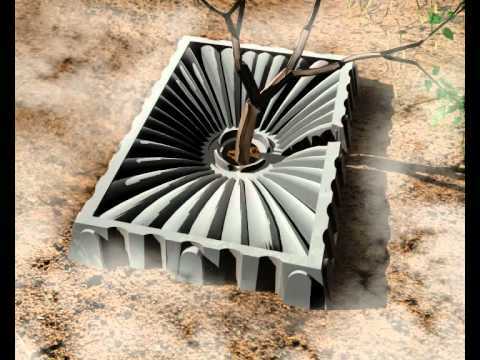 The company has developed an innovative method that allows you to get a bigger yield by using less water. This became possible thanks to reusable plastic trays for obtaining water from the air. Containers from recycled plastic reduce plants needs in water by 50%. event. You can find out about the participation opportunities in the event on the "Registration" page. Program details, as well as special offers of Smart Farming World Summit Russia 2017, are available when subscribing for a free analytical digest of the summit. To do this leave please, your email address in the bottom field of the main page and click Subscribe.